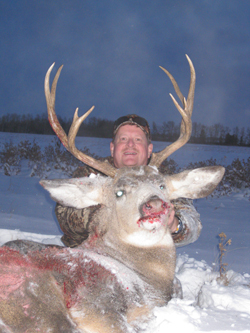 We hunt some of the finest trophy Mule Deer and Whitetail Deer on the fields and meadows of southwestern Alberta, Canada. Little Mountain Guiding Service provides over 30 years of hunting and guiding experience. We host September archery hunts and November rifle hunts during the peak of the rut. We hunt over 10000 acres of some of the best wildlife habitat in southwestern Alberta. Situated among some of the most breathtaking country in the world, this family run operation offers you great western hospitality within a comfortable camp. Book your Mule Deer, Whitetail or Combination hunting adventure with Little Mountain Guiding Service and seize the opportunity to acquire the trophy of a lifetime. 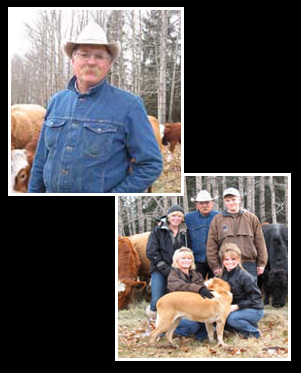 Darcy has been ranching in southwestern Alberta for 25 years. He is proud to bring his knowledge of the area to clients to make their hunting experience truly memorable. 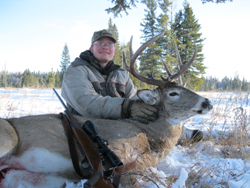 At Little Mountain Guiding Service we hunt in the southwestern portion of Alberta, Canada. 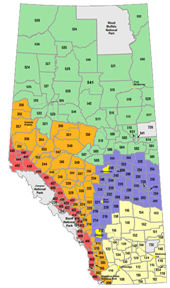 Alberta, located in western Canada, borders on Montana, USA to the south; British Columbia, Canada to the west; Saskatchewan, Canada to the east; and the North West Territories, Canada to the North. 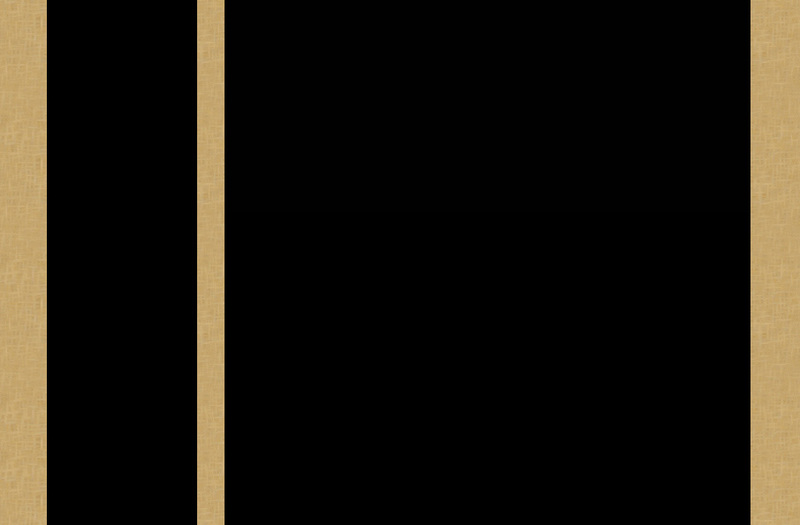 Alberta has a population of approximately 2.9 million people with about one third located in metropolitan Edmonton, one third in metropolitan Calgary and the other one third located in smaller cities, towns and rural areas through out the province. Darcy's family members each play a part in the running of Little Mountain Guiding Service. His wife, Corinne, is a veterinarian and often transports hunters to and from the camp while insuring that the camp supplies are fully stocked. Darcy's daughters also help with cooking at the camp. Darcy's son, Clinton, is an experienced guide whose specialty is hunting big whitetail bucks. Little Mountain Guiding Service operates in Wildlife Management Units (WMU's) 214, 216 and 320. 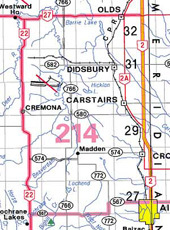 WMU 214 and 216 are located in the Parkland of Alberta between the Grassland in the south and the Boreal Forest in the north. This gently rolling landscape contains aspen woodlands, fescue grasslands, shrublands and wetlands. It is a rich ecosystem, full of various types of vegetation and species. WMU 320 is located in the Foothills of Alberta. The Foothills are not only a region of majestic beauty, they are also home to some of the most interesting species in the province including elk, moose, deer and bears. The landscape of long ridges and rolling hills is filled with lodgepole pine, aspen and spruce while small streams wind their way through meadows of dwarf birch, willow and grasses. We like to get a bit of hunting in for ourselves when we get the chance.